When Matthew Brady displayed images from the Civil War battlefield in his New York City gallery in 1862, the public lined up around the block to see them. He captured a reality of war that shifted the narrative from one of great adventure to one of costly death and ruin. A New York Times article wrote, “Mr. Brady has done something to bring home to us the terrible reality and earnestness of war. If he has not brought bodies and laid them in our dooryards and along the streets, he has done something very like it.” These stories, captured in black and white, conveyed a truth about war that became impossible to ignore. Story is a powerful thing. Story telling develops agency. It reformulates identity and it links the storyteller with the listener in a common journey. Much has been studied and written about the power of storytelling in social movements. Perhaps our most recent example is the #metoo movement where the power of telling a shared story is still changing the cultural landscape. At Sacred Alliance, we are committed to telling a better story, perhaps the best story. We champion narratives of real people leading effectively in their corners of the globe for the good of the kingdom. We’re committed to seeing Jesus’ faithful presence in every nook and cranny of this world, and that means all hands-on-deck: men and women serving shoulder to shoulder in their areas of greatest giftedness. There’s no time for complaining or recounting past grievances or pointing fingers. Rather, let’s lean forward, celebrating the ways women and men are operating out of a mutual ministry as the way forward for the church. The truth is, all our stories are like Mr. Brady’s black and white photographs, insignificant all on our own. But when we are collected and shared and celebrated, we join together to change the narrative. We have the ability to convey a truth about women and men in leadership together that becomes impossible to ignore. And in doing so, we celebrate the Kingdom at hand. Andrea Summers is a pastor, writer, preacher, mother of four, and the director of SACRED ALLIANCE. Andrea believes in the local church as God’s agent of redemption in the world. She thinks in word-pictures and weaves the practical with the profound truth of God’s word. 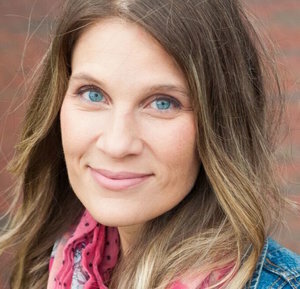 She is passionate about Biblical Justice and authentic vulnerability and their critical connection to spiritual formation. An ordained minister and a graduate of Asbury Seminary, Andrea has served as pastor in the local church and as a denominational leader for The Wesleyan Denomination. She currently lives in Atlanta with her husband Jeremy and their four children.